Evelyn Waugh had strong opinions, ranging from the merits of Catholicism to the merits of the British class system. He wrote a fine book about wine – Wine in Peace and War – that is now highly collectable. First editions of Evelyn Waugh novels, especially those still with dustjackets, are also extremely collectable, as are many other Evelyn Waugh books. A large number of books have been written about Waugh, who continues to provoke discussion decades after his death. 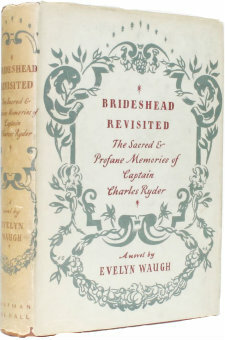 At War with Waugh by William Deedes, Evelyn Waugh A Biography by Selina Hastings and Mad World: Evelyn Waugh and the Secrets of Brideshead are all worth a look. There are many varying opinions about Waugh himself, whose personality seemed to polarise people, but the biographers all agree about the high quality of his writing.